The new and improved Maltby KE4 Tour HDI hybrid design is probably closer to what a real hybrid should be vs. hybrid designs that are more influenced by metal wood shapes. With a low and deep center of gravity, a progressive wide sole design, adjustable head weighting and a very thin high strength forged MS300 face material (with the added bonus of being able to adjust loft and lie), the HDI hybrid design is perfect for dialing in the exact distances and trajectories required by any type of player. 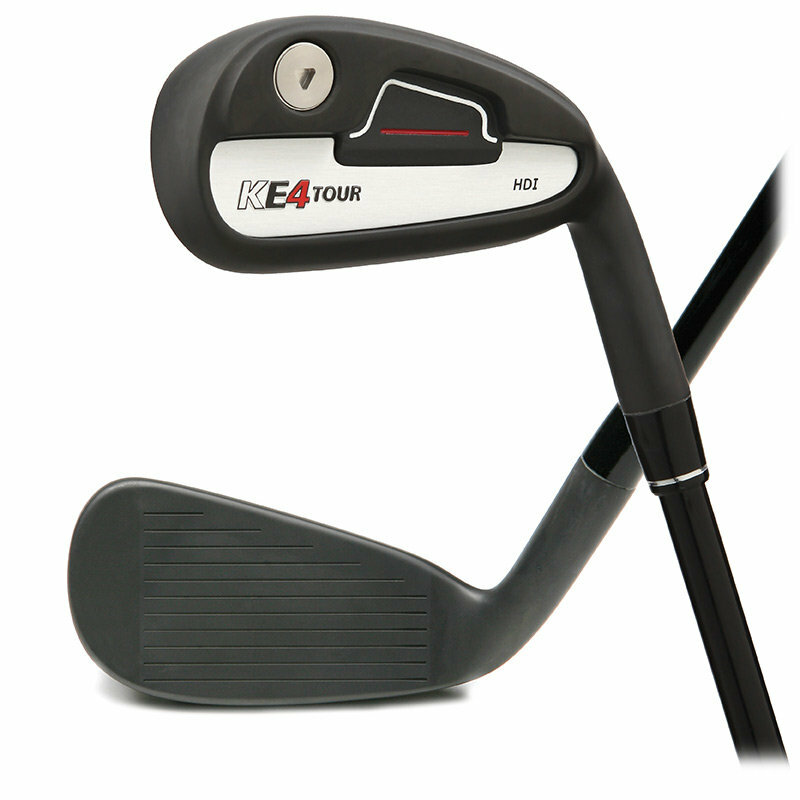 Whether your looking for maximum distance or simply trying to replace those hard to hit long irons, you owe it to yourself to try one of these amazingly easy to hit KE4 Tour HDI hybrids. The KE4 Tour HDI hybrid also features a DBM (Diamonized Black Metal) finish that is chemically implanted and more wear, corrosion and scratch resistant than typical black PVD finishes. New and improved, the KE4 Tour HDI hybrids feature additional loft options, deeper etched scoring lines, a slightly longer hosel for increased bend-ability, triangle screw weights and improved cosmetics.